The money comes from Bill Gates and his billionaire boys club with the goal to destroy public education. The idea is to use different front organizations to fool as many people as they can to achieve their agenda. 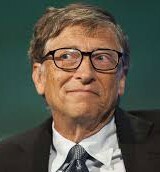 Billionaire Bill Gates really wants the Common Core State Standards (CCSS) for “mass” education. In 2008, two well-positioned individuals asked Gates to pay for “state led” CCSS supposedly “launched in 2009 by state leaders, including governors and state commissioners of education from 48 states, two territories and the District of Columbia”.